The Belgium Lotto is one of the longest running lotteries in Europe, with the first draw taking place in 1978, making it older than the UK Lotto, the Irish Lotto, and even the SuperEnaLotto. This lottery looked a little different back then, with fewer numbers to choose from and fewer weekly draws. These days players choose a total of 6 numbers from a possible 45, and there are two Belgium Lotto draws per week. What is the Belgium Lotto? 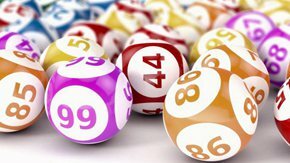 The Belgium Lotto costs just €1 to play when tickets are purchased in Belgium from official vendors, but non-Belgian players should expect to pay a little more when purchasing their tickets from unofficial online vendors. There are quick pick options for players who don’t have the time or inclination to choose their own numbers, and all prizes need to be claimed with 140 days otherwise winning tickets will become invalid. There is a minimum jackpot of €1 million on the Belgium Lotto. If this is not won then the jackpot rolls-over until it is. There are not enough players out there for this lottery jackpot to venture into the tens of millions, but it has passed €4 million on several occasions. The highest ever jackpot win in Belgium was actually on the EuroMillions, when a single ticket holder walked away with a jackpot of €100 million and broke all kinds of national records in the process. 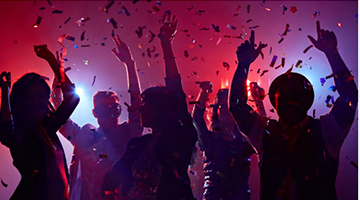 Besides this jackpot and the EuroMillions in general, most lottery records in the country have been set by the Belgium Lotto, which has been creating millionaires for several decades now. The highest ever Belgium Lotto winner scooped €11.18 million back in January 2014. This was a good 3 million more than the second highest Belgium Lotto jackpot, which was shared between 3 ticket holders 2 years earlier. You do not need to live in Belgium to play or win the Belgium Lotto, as there are online vendors who provide access to players from all over the world. And no matter how you play, where you play, where you live, or what you win, there is no tax applied to Belgium Lotto winnings. All smaller prizes on the Belgium Lotto can be claimed by visiting the location where the ticket was purchased. For online players, the money should be transferred automatically. Players who win larger prizes may need to send their ticket off to the lottery organisation or otherwise get in direct contact with them.